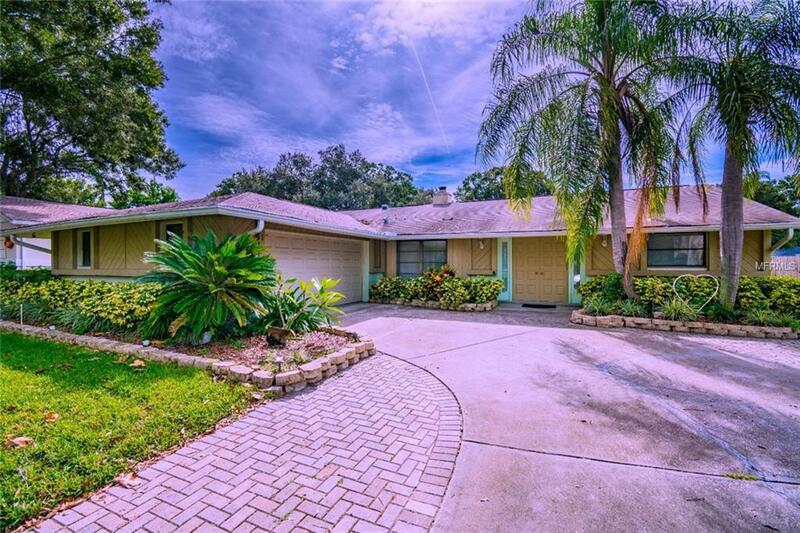 Great home not in a flood zone AND zoned for sought after Palm Harbor schools. Close to the Pinellas Trail. Side entry garage. Double doors open to large living room with fireplace and Dining room. Sliders to caged pool. Eat in Kitchen also has sliders and pass through to the pool area. Master bedroom has walk in closet and master bath with walk in shower. Split bedroom plan with 2 additional bedrooms -one with sliders to the pool. Second hall bath has long double vanity and tub with shower. Washer/dryer in garage with lots of storage room. Caged pool with under cover area to get out of sun Fully fenced backyard with mature trees and landscaping. This is a great location, good schools, walk to shopping, close to Honeymoon Island, Crystal Beach and close to the Pinellas Trail. Dining, banking and lots of shopping nearby.